eCall was developed to address the problem that drivers involved in accidents often have inaccurate awareness of their location, especially on interurban roads or abroad. In the most crucial cases, victims may not be able to call because they have been injured or trapped, and no witnesses or passers-by may be around to assist them. The eCall system, which provides the exact location of an accident and requires no subscription, will bring emergency services to crash victims as quickly as possible. In the event of a serious accident, eCall automatically dials 112, Europe’s single emergency number. In addition to the vehicle’s exact location — which in many, if not most cases, will draw on GNSS positioning, the notification to emergency service providers will include the time of the accident and the direction of travel (an important factor for incidents occurring on motorways and in tunnels), even if the driver is unconscious or unable to make a phone call. (See Figure 1, inset photo, above right.) An eCall can also be triggered manually by pushing a button in the vehicle, for example, by a witness of a serious accident. This article will describe the evolution of the eCall program, its technical aspects, and expected benefits. In 1999 the European Commission (EC) services presented the concept of eCall at the start of the Galileo project. The concept was then developed in the various pieces of legislation necessary to make possible the final service: the adaptation of public emergency response centers all around Europe (e.g., to display the accident location on digital maps), the facilitation of data transfer between vehicle and the emergency centers, and finally, the integration on board vehicles of eCall devices able to calculate positions and communicate these to an emergency center. This final and important piece of legislation has been made via a new type-approval regulation: to be sold in Europe a new model of car or light van needs to be equipped with an eCall device, including the GNSS function, which has passed the related testing in authorised laboratories. The European Commission first proposed the eCall type-approval regulation in June 2013, estimating that, once the system is fully implemented, it could save hundreds of lives every year and help injured people get a quicker recovery. (See item  in Additional Resources near the end of this article). The European Union (EU) supported development of eCall, initially through the eMerge project and later its deployment through the HeERO project. The latter initiative developed a pan-European in-vehicle emergency call service (HeERO phase 1 in 2011–2013 and HeERO phase 2 in 2013–2014) carrying out pilot projects in 15 countries throughout Europe. The eCall project was also supported by the European Automobile Manufacturers Association (ACEA), an interest group of European car, bus, and truck manufacturers, and by ERTICO — ITS Europe, Europe’s intelligent transportation system (ITS) organization that promotes research and defines ITS industry standards. eCall is going to be an important European service infrastructure, resulting from the synergy of advanced communications technologies with those offered by the European positioning, navigation, and timing (PNT) infrastructure based on the EGNOS and Galileo systems. The “112-based eCall in-vehicle system” is an emergency system, comprising in-vehicle equipment and the means to trigger, manage, and enact the eCall transmission, whether activated either automatically via in-vehicle sensors (e.g., airbag deployment) or manually. The system will exchange, by means of public mobile wireless communications networks, a minimum set of data (MSD) and establish a 112-based audio channel between occupants of the vehicle and an eCall “Public Safety Answering Point” (PSAP). A PSAP is a physical facility where emergency calls are first received under the responsibility of a public authority or of a private organization recognized by a specific EU member state. Once activated, the in-vehicle system (IVS) establishes a 112 voice connection and, at the same time, an emergency message is sent with the voice call, forwarding critical information about the accident. Whether sent automatically or manually, the 112 voice connection is identified as an emergency eCall by the mobile network operator (MNO), who routes the call to the most appropriate emergency response center or PSAP. At that point the PSAP operator will receive both the voice call and the MSD, a message with a maximum size of 140 bytes including the exact geographic location of the vehicle, the direction of travel, the triggering mode (automatic or manual), and the vehicle identification number (VIN). These data and other information in the MSD enable the emergency response teams to quickly locate and provide medical and other life-saving assistance to the accident victims. The eCall system also enables a PSAP operator to hear what is happening inside the vehicle and to speak with the occupants. This way, the most effective emergency services — ambulance, fire, police, and so forth — can be dispatched to the accident scene. Figure 2 (see inset photo, above right) presents a schematic of the eCall system architecture. A key element for the success of eCall is the automation of the notification of a traffic accident, wherever in Europe, with the same technical standards and the same quality of service objectives by using Public Land Mobile Networks (PLMNs, such as GSM and UMTS). This architecture must support the European pre-assigned emergency destination address and provide a means of manually triggering the notification of an incident. The European Telecommunications Standards Institute (ETSI) Mobile Standards Group Technical Committee (TC MSG), together with the 3GPP (Third Generation Partnership Project), of which ETSI is a founding member, has developed the standards that describe the transmission of eCall data. 3GPP has specified the eCall service telecommunications requirements, data transmission protocols, and network signaling aspects. The in-band modem used to transfer the MSD from the vehicle to the PSAP has also been specified by 3GPP. The European Committee for Standardization (CEN) Technical Committee (TC) 278 has defined the transmitted data (i.e., the MSD). ETSI TC MSG has provided overall guidance and developed standardized test specifications to enable eCall equipment manufacturers to ensure the interoperability of their products. Work is also on-going to develop the specifications to make sure that eCall can be implemented on LTE/4G networks. During an accident event, the MSD message transmits the triggering location in WGS84 coordinates, which is formally defined in the corresponding European standard (CEN EN 15722:2015). The 112-based eCall in-vehicle equipment (Figure 3) should be able to trigger, locate, manage, and initiate the eCall transmission (activated either automatically via in-vehicle sensors or manually) with the MSD incorporating GNSS signal data, which is sent via the public mobile wireless communications networks. It must also be able to establish a quasi-simultaneous data/voice link from the vehicle to the most appropriate PSAP for the particular area in which an accident occurs. The in-vehicle eCall equipment needs to support at least one wireless medium to be suitable for both data transfer and voice communication. The network operator system will use an “eCall flag” received in the emergency call set-up message. The purpose of this “flag” is to enable a mobile network providing service that supports this functionality to differentiate between speech-only emergency calls and the eCalls transmitting additional information from the MSD, such as the accident location. Additionally, the mobile network may also be able to discriminate between “manually initiated” and “automatically initiated” eCalls. The location data transmitted shall be a vehicle’s last known position as determined by the vehicle’s GNSS equipment at the time of message generation. In the event that inadequate sources of information are available to provide a reliable determination of location, the location data element shall contain the best estimate of current location. This estimate will be based on the last position determination when adequate data were available, or a calculation based on other available information, for example, by dead-reckoning. Finally, the wireless communications network operator system must then be able route the voice call and the MSD message with the location to the most appropriate PSAP, which will transmit an acknowledgement back to the in-vehicle equipment. The provision of accurate and reliable positioning information is an essential element of the effective operation of the 112-based eCall in-vehicle system. For this reason the eCall Regulation requires the compatibility of the system with at least the services provided by the Galileo and the European Geostationary Navigation Overlay System (EGNOS) programs. The objective is to benefit from multiple GNSS to ensure the best availability of the signal in every region and under every condition. In drafting the eCall regulation special attention was given to the many concerns arising from the processing of data related to individuals. The European Commission has taken all necessary measures to safeguard privacy of the vehicles’ occupants, after consulting with data protection authorities and the European Data Protection Supervisor office. The main fear was that, by having an eCall equipment installed in their vehicles, people will be continuously tracked, their driving behaviour monitored, and, ultimately, their privacy violated. The eCall regulation requires that the public Pan European 112 eCall In-Vehicle System (IVS) remain dormant until a serious accident happens; therefore, no tracking or transmission of data takes place during the normal operation of a vehicle and the onboard equipment. In addition, any processing of personal data through the 112-based eCall in-vehicle system will comply with the relevant legislation on personal data and consumer protection. Indeed, PSAPs are used to dealing with personal data, respecting citizens’ privacy in the course of their normal operations (i.e., when citizens call to the single European emergency number, 112). Therefore, the system and the in-vehicle equipment should guarantee that vehicles equipped with eCall are not traceable and are not subject to any constant tracking. Moreover, data sent by the in-vehicle equipment should be limited to the minimum information required to appropriately handle emergency calls. The in-vehicle system will continuously erase data on previous locations of the vehicle. No intermediate parties, including the mobile operators, have access to this minimum information that is transmitted from the in-vehicle system to the PSAPs. Proprietary systems similar to eCall and that rely on SMS and cellular networks already exist today from certain car makers . However, standardization of the communications protocols and of the in-vehicle equipment thus far has proved to be the main difficulty in creating a European-wide emergency-call solution, not to mention the additional complications of certification and liability issues. Only around one percent of vehicles in the EU are currently equipped with private emergency-call systems. Moreover, these proprietary systems do not offer EU-wide availability, interoperability, and continuity of service. In the Russian Federation, a system called ERA-GLONASS was commissioned in January 2015, based on a resolution of the Russian Federation government issued December 26, 2014. The system is similar to the EU’s eCall and relies on technical compatibility with both GLONASS and the U.S. Global Positioning System (GPS). (See Figure 4.) The technology solutions developed for the ERA-GLONASS System are compatible with eCall and can be integrated into the 112 emergency response system. In North America, similar proprietary eCall services are available from certain car manufacturers. As already mentioned, the eCall platform is closely linked to Europe’s 112 single emergency-number system (Figure 5) that can be dialed free of charge from fixed or mobile telephone users to obtain emergency services (Figure 6). The 112 system is being activated in several European countries, including all EU member states, and is also being adopted by many other countries, such as the Russian Federation. Within some countries, the 112 system coexists with previously used nationwide emergency-call numbers (e.g., 999 and 112 are both active in the UK). In 2012, the International Telecommunication Union declared 112 and 911 as the official emergency numbers, i.e., the two standards with which all countries should be aligned in the future. The emergency number system is evolutionary; location-enhanced versions of it already exist. In the United States, for example, when calling 911 on a mobile phone, the emergency services can determine the caller’s location calculated from a combination of network-based techniques and GNSS, which remains the most effective way to compute a position outdoors. In Europe, the Universal Service Directive currently describes the detailed requirements for EU member states operating a 112 system, including a requirement that emergency services be able to establish the location of an emergency caller. However, in practice, a gap remains between citizens’ expectations of real-time location accuracy (5–10 meters) and the current emergency location solutions available in EU Member States using mobile cell or sector ID (100 meters up to 40 kilometers). Work is now starting to see what can be done to close this gap. The European Commission will soon initiate a pilot project looking into the possibilities of using GNSS to determine caller location, thus being able to automatically send more accurate location data as part of any emergency call to 112. A consultation with main stakeholders in 2014 received a positive feedback by the European Emergency Numbers Association (EENA) and a pilot project will be soon initiated. improved communications between citizens and emergency services, through the PSAPs, with the possibility to provide enriched data such as telematics and health data (telemedicine). The first and most important reason that pushed the EU towards adoption of emergency call capability in every new car on the road is the expected reduction of accident fatalities. Estimates suggest that eCall could save up to 2,500 direct fatalities annually in Europe when fully deployed, while improving the treatment outcomes of non-fatal injuries and the associated human suffering. Emergency calls made from vehicles or mobile telephones using wireless technologies can help achieve these objectives (Figure 7). Over and above the humanitarian benefits for the European citizens, however, eCall is supported by a very convincing business case. As recently as 2009, approximately 1.15 million accidents in European countries killed about 35,000 people and injured 1.5 million — a true road carnage! This represented a total cost of approximately €160 billion. Although the situation has improved since then — the annual number of road deaths decreased by 18 percent for the period 2010-2014 — they are not quite in line with the ambitious target set by the European Commission to halve the number of road deaths by 2020 (Figure 8). eCall will help to further reduce the road fatality numbers at a higher rate from today onwards. In hard financial terms, eCall could improve emergency response times by as much as 50 percent f(50 percent faster in rural areas, 40 percent in urban areas) and thus reduce car accident fatalities and mitigate the associated injuries. This would save European taxpayers billions of euros annually (up to €20 billion a year, according to some studies). Further benefits can be expected from the reduction of traffic congestion caused by accidents, thus cutting fuel waste and lowering carbon monoxide, carbon dioxide, and other harmful emissions. The eCall technology, in particular the availability in each future European vehicle of an advanced wireless communications and positioning equipment, opens up a wide range of possible applications and services, e.g., so-called location- based service (LBS) applications. In fact, the eCall platform adoption will definitively link the automotive and the telecommunications worlds. Car manufacturers and vendors can also offer a number of new value-added services, literally revolutionizing their traditional approach to maintenance and logistics. Finally, eCall will make easier to implement existing applications, such as “pay-as-you-drive” insurance (telematics car insurance), electronic road tolling, and vehicle tracking (fleet management). Finally, a retrofit market is also expected. When eCall begins to appear in new vehicles, many people will decide to upgrade their current vehicle with after-market products. The implementation of eCall systems worldwide makes it necessary to establish uniform requirements for such systems, for instance, through the definition of a Regulation on Accident Emergency Call Systems at United Nations level. This initiative may foster interoperability between systems and support the automotive industry in developing harmonized solutions under the United Nations Economic Commission for Europe (UNECE) 1958 Agreement concerning the adoption of uniform technical prescriptions for wheeled vehicles, including automotive equipment and parts. With this aim, the UNECE established in 2013 an informal group called the Working Party on General Safety Provisions of the Transport Division. This group is made up of “Contracting Parties” (the UN members) and representatives from car manufacturers, automotive suppliers, technical services, and professional associations. The work of this informal group is expected to be completed by 2016. The working party has agreed by consensus on a set of the GNSS technical requirements and tests methods for position determination, which are consistent with the requirements defined in both the European and Russian regulations. 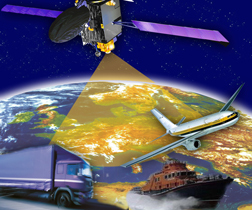 In particular, the benefits provided by use of multiple constellations were well understood and addressed in the draft text of the regulation: at least three GNSS — including Galileo, GPS and GLONASS — along with satellite-based augmentation systems (SBAS) should be supported by vehicles’ navigation modules. Thanks to this effort, GNSS testing requirements can be simplified, together with the fact that the eCall cannot be considered a safety-critical part of the vehicle, as the GNSS navigation information does not affect the driving process. Indeed, in the majority of cases the eCall functionality will never be activated. Tests can be performed with simulated GNSS signals either on the eCall unit or directly on the GNSS receiver that is part of the eCall system. The minimum list of GNSS test methods proposed include the assessment of the NMEA message output, accuracy in static/ dynamic mode and in urban canyons, the receiver’s cold start time-to-first-fix, signal re-acquisition time, and receiver sensitivity. Simulation of radio-frequency interferences were considered applicable, although such interference was considered very unlikely to coincide with the circumstances of an eCall event (i.e., at the exact moment of an accident). Participants in the harmonization exercise being carried out at the UN level involving similar international emergency-call systems have also preliminary agreed that the coordinate systems will be WGS84. (Note that the Russian Federation currently uses the PZ90 system in the ERA-GLONASS system). Based on suggestions from industry, the European GNSS Agency announced a testing campaign for eCall device manufacturers. The campaign seeks to support the testing of the Galileo’s compatibility in in-vehicle eCall devices. It will be undertaken in cooperation with the EC Joint Research Center (JRC) in northern Italy at no cost to participants. This test campaign for eCall manufacturers follows the success of a similar test campaign for GNSS chipset and professional receivers and conducted in cooperation with JRC and the European Space Agency.